Hello Gang! 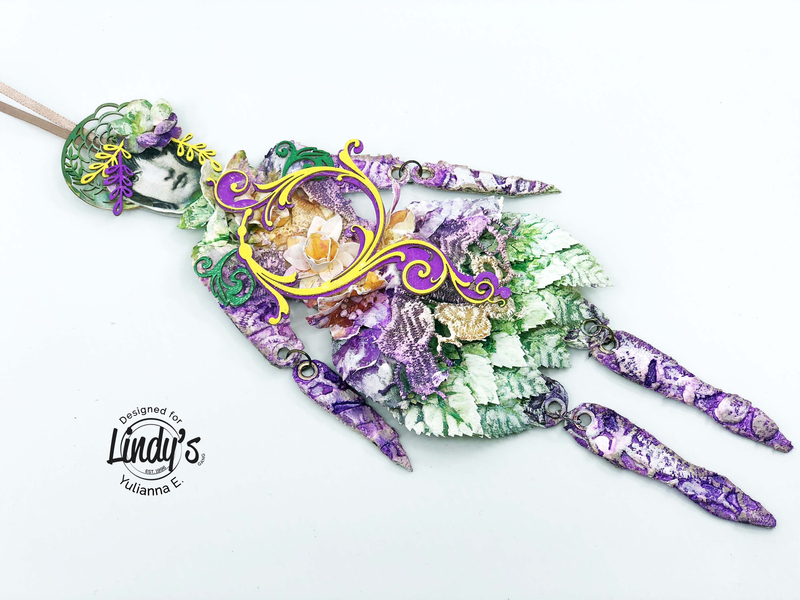 Yulianna Efremova here and I’m so excited to be with you this year as a Lindy’s Ambassador. For this month’s project, I’m going to show you how to make a Mixed Media Collage “Tubes” canvas that I’ve colored with Starburst Sprays from Lindy’s. The leaves were covered with a mixture of sprays, I’ve used Starbursts: Prima Donna Purple, Delphinium Turquoise, Bells of Ireland Green, Dark Chocolate Truffle, Cape Cod Coral to create my Collage. Starbursts: Prima Donna Purple, Delphinium Turquoise, Bells of Ireland Green, Dark Chocolate Truffle, Cape Cod Coral. Canvas, tongue from the iron can, empty glue packaging Moment Crystall, Medium. I hope you have enjoyed this Collage. Fantastic Yulianna!! Love the bright colors and the up-cycle features!! Just lovely! This is a stunning MM creation..those colors look so vibrant ! !